Provide comfort for the family of Pauline Patricia Lashley with a meaningful gesture of sympathy. 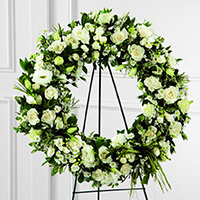 LASHLEY, Pauline Patricia of Newmarket, Ontario passed away peacefully on Friday, February 1, 2019. Pauline will be sadly missed by her husband, Karl Sr., her son, Karl Jr., her grandchildren, Preston and Kennedy, and her siblings, David Blenman, Valda Blenman and Grace Simpson. The Service will be held at St. Mary’s Anglican Church, 10030 Yonge St. at Major Mackenzie Dr., Richmond Hill on Saturday, February 16, 2019 at 11:00 am with Visitation from 10:00 am. Interment at Elgin Mills Cemetery, 1591 Elgin Mills Road East, Richmond Hill. 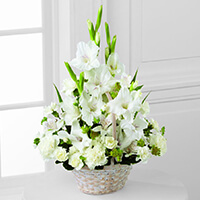 Consider providing a gift of comfort for the family of Pauline Patricia Lashley by sending flowers. We encourage you to share your most beloved memories of Pauline Patricia here, so that the family and other loved ones can always see it. You can upload cherished photographs, or share your favorite stories, and can even comment on those shared by others. David Blenman and Family purchased the The FTD Splendor Wreath for the family of Pauline Patricia Lashley. Sorry for your loss. Our heartfelt and sincerest condolences. Allison and Bradley Drakes purchased the The FTD Eternal Affection Arrangement for the family of Pauline Patricia Lashley.